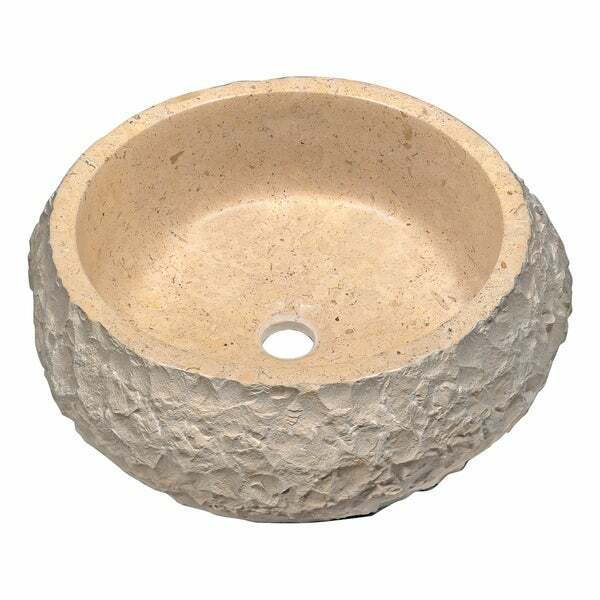 Earthy and rich, this vessel sink is an amazing statement piece handcrafted from natural stone. Featuring a rustic tan color and hewn stone look, this sink sports a unique silhouette and a round shape that makes it an impressive complement to a variety of home decor styles. This exceptional sink is sure to make a spa-like oasis out of any bathroom.